Orange County Fire Rescue kicked off the “Called to Care” campaign on May 15 to celebrate paramedics and emergency medical technicians (EMTs) during National EMS Week for their continuous demonstration of duty, respect and integrity. National EMS Week is a nationally-recognized event that allows for the opportunity to award and commend paramedics and EMTs. 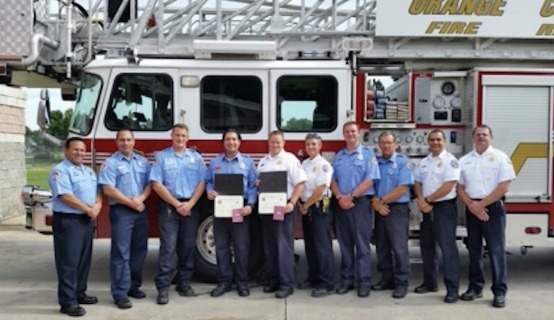 This year, Orange County Fire Rescue recognized crew members with certificates and commendation bars to thank them for their service in the high-demand industry. Orange County Fire Rescue responds to nearly 81,000 EMS calls annually with an average of 163 daily transports. The three most prestigious awards presented during National EMS Week were Paramedic of the Year, EMT of the Year and the Iron Medic. All three awards were carefully selected based upon extraordinary individual efforts. The Iron Medic is an award presented to the paramedic who has completed the most transports within the calendar year. National EMS Week concluded on May 21, 2016.